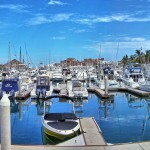 Bisbee’s Black & Blue Fishing Tournaments have been held in Cabo San Lucas for over 30 years. Dating back to 1981, Bob Bisbee started the Black & Blue Marlin Tournament and it has grown from six teams with a purse of $10,000 to more than 150 teams with millions of dollars at stake. 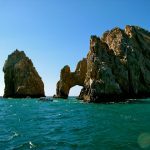 Bisbee’s Los Cabos Offshore often referred to as “Little Bisbee’s” dates back to 2002, and is considered a more laid-back, charity focused event than the multi-million dollar Black & Blue tournament that follows it each October in Cabo San Lucas. This year, the Little Bisbee’s event will be held on October 18–21, 2018 and should not be missed. Little Bisbee’s is a more casual, laid-back event with lots of social time and fun activities for the whole family. Many avid fisherman enjoy these few days of fishing before the Big Show of the Black & Blue Tournament which is commonly referred to as Big Bisbee’s. 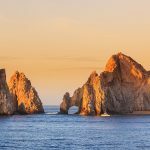 At Los Cabos Offshore or Little Bisbee’s, top cash prizes are awarded to whoever brings in the three biggest qualifying fish in the game and billfish categories, and money is always donated to local causes as well. 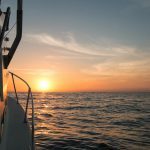 The entry fee for fishing teams interested in competing is $1,500 U.S.
Big Bisbee’s Black & Blue Marlin Tournament is the finale that follows the Little Bisbee’s more casual tournament from October 22-27, 2018. Big Bisbee’s is a five day event with lots of excitement and a little bit of good natured chaos. Cabos San Lucas is a beautiful backdrop for this exciting event, and thousands of people will fill the Cabo marina to enjoy all the best restaurants, bars and of course enjoy watching the fisherman show off their top catches as they get weighed in at the marina scales. Whether you enjoy fishing or not, The Black & Blue tournament is an experience you’ll never forget, regardless of whether you participate and win big, or just enjoy being part of the action. 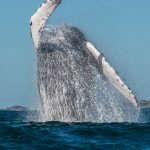 If you find yourself in Cabo in October, make sure to check out Little Bisbee’s Los Cabos Offshore from October 18-21, and Big Bisbee’s Black & Blue Tournament from October 22-27, 2018. Event dates and schedules are subject to sudden change and cancellation, so please double check closer to the event. Happy Fishing! 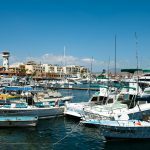 Share the post "Cabo Fishing Tournaments in October 2018"